During the design of RadOrgChart, two main types of objects were identified - Nodes and Items. A group is a single Node holding more than 1 GroupItem. 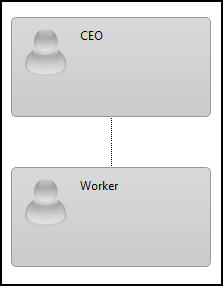 Adding more than one item to a single node will result in the creation of a group. 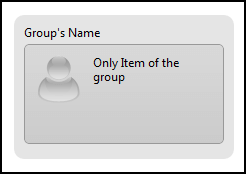 Is there a way to have a group with only 1 GroupItem? The only way to have a group with 1 item, would be to have at least one Rendered Field (see Rendered Fields) set to the node representing the group. Having a rendered field on Node level, states, that the node should be visibly represented and this only makes sense if the node is representing an actual group.